If you’ve got a modern phone and a good idea, you’ve got everything you need to create compelling video content. You don’t even need a powerful PC and expensive editing software to get started. With free apps you can stitch together impressive projects on your portable device of choice. So whether you want to earn subscribers on YouTube or gain traction on Instagram, you can make videos that stand out from the crowd. Video is an increasingly influential medium. And stats show that while shorter clips are more dominant, it’s those lasting 15 minutes or more that generate the highest levels of engagement. This gives creatives free rein when putting together footage. Short and sweet isn’t always the answer, but using editing tools effectively can make a big difference. Here are five of the best free apps to expand your video skill set. Created by the team behind the GoPro action camera range, Splice is a free app which lets you import clips from many different sources, including Dropbox and Facebook. So the footage you edit doesn’t have to be stored locally on your phone. The straightforward interface makes chopping and changing things around a breeze. There are filters to apply, text overlays to add and even neat touches like animated transitions and playback speed adjustment. Be warned that videos made in Splice get automatically appended with a clip advertising the app. This means you’ll need to cut this out manually using a separate editor after you’ve exported the finished project, which isn’t ideal. 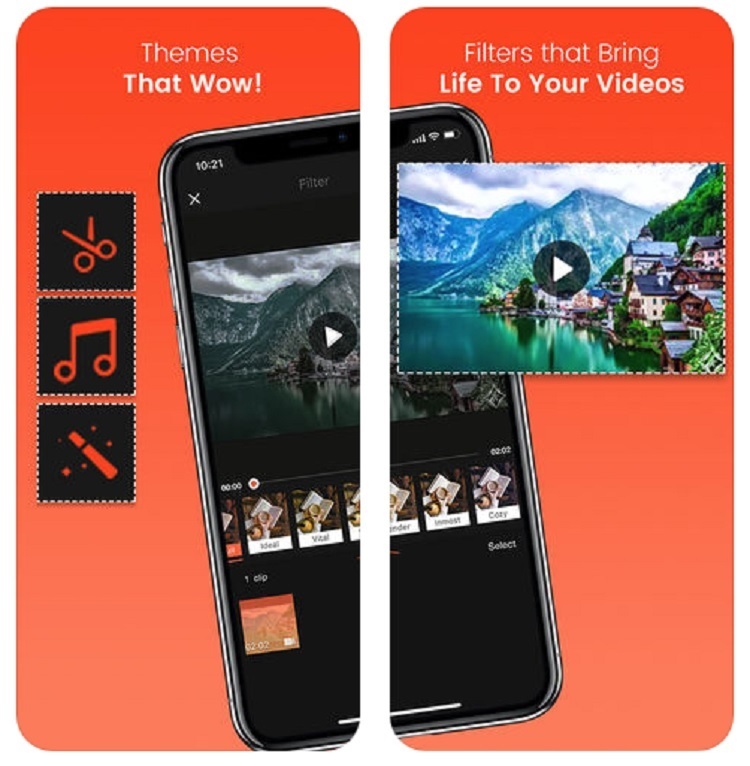 Most pros use Apple products to edit videos, so it’s no surprise that the iPhone maker’s own app is one of the best in the business for mobile users. It takes full advantage of the multi-touch capabilities of the iPhone’s display to streamline editing. And with plenty of pre-made templates you can learn how to properly organise footage, before coming up with your own concepts. The biggest drawback of this app is that it pulls clips from your device or iCloud account and is not able to import anything from other platforms. Of course being able to save and share your creations on other Apple devices in 4K resolutions makes up for this. You just have to be a committed acolyte of the Apple ecosystem. With some of the best customer ratings around, this app has won over thousands of users. And since it’s available on Android handsets as well as iPhone, it’s not tied down by brand loyalties. 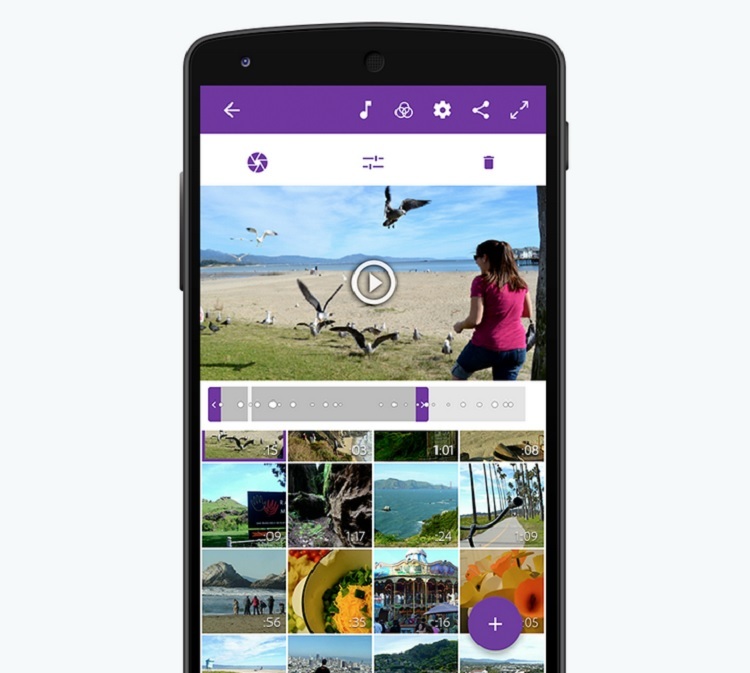 VivaVideo works best for cobbling together clips into short-form videos, with the ability to capture footage from within the app to make things easier. Filters and effects can be added, with in-app purchases allowing you to unlock the flashier features, for a price. Like Splice, this app manages to do a good job with audio as well as video. You can drop music tracks over footage and tinker with everything until you’re happy with the results. The fact that the interface isn’t that intuitive for first time users is our main bug bear. A big hitter in the professional video editing world, Premiere Clip is a stripped-back version of Adobe’s flagship program that is free to download and use on the move. And with easy exporting to Premier Pro, it makes sense to use this if you’re also going to harness its premium desktop counterpart. The drag and drop approach to editing it offers is uncomplicated, and there are the usual tricks of the trade including transitions, audio adjustments and more. Solid social media integration makes sharing videos simple, although its library of audio is a little limited compared with the competition. Some editing apps are overburdened by ads or super-restricted unless you’re willing to pay for more features to be unlocked. Cameo is different because it doesn’t suffer either of these downsides. Swiping around the clean, uncluttered interface will feel natural, while the professional grade filters and music options are a welcome inclusion. Meanwhile its integration with artist-friendly video platform Vimeo means you can upload your projects to a place where they’ll be appreciated by likeminded people. Like all good editing apps, Cameo supports 4K footage and makes it possible to share videos via Twitter, Facebook and even WhatsApp. It’s not entirely perfect, and won’t match its paid-for rivals in terms of raw capabilities. The world of online video is in a state of flux. Content creators are having to battle advertisers to monetize their content. And even the industry’s biggest stars are coming under increased scrutiny over the ways they engage with their young audiences. But the opportunities presented by this technology remain as exciting as ever. It’s just a case of using the available tools for positive expression.